Minecraft has sold 50 million copies to date on all platforms (including PC and Xbox). So it is safe to say that it is a game that people on all platforms want. Like people who use Windows Phone for instance. We heard back in October that Mojang was working to port Minecraft to Windows Phone. Then, Microsoft acquired Mojang in a $2.5 billion deal. And now, Minecraft Pocket Edition is finally available for Windows Phone users. It is about time considering that it is about three years after being released on Android and iOS. Time to celebrate! Just like the Android and iOS versions, Minecraft for Windows Phone is not a cheap game, costing $6.99. However, you can play it on any WP handset, even entry-level ones with just 512 MB of RAM. So no matter which phone you have, you can enjoy it just like all of your friends. 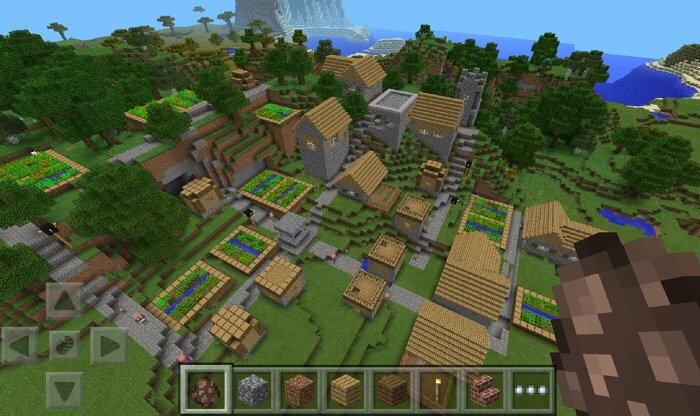 Minecraft Pocket Edition for Windows Phone features infinite worlds, Creative and Survival modes, and multiplayer over Wi-Fi. Apparently there are no differences between the Windows Phone version of the game and the ones for Android and iOS. If you want it, you can download the game on your WP handset from Windows Phone Store.